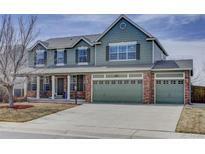 Below you can view all the homes for sale in the Tuscany subdivision located in Aurora Colorado. Listings in Tuscany are updated daily from data we receive from the Denver multiple listing service. To learn more about any of these homes or to receive custom notifications when a new property is listed for sale in Tuscany, give us a call at 720-580-6694. Located in the Cherry Creek School district in a lovely pool community. MLS#9344420. RE/MAX Professionals. *sellers Have Installed A New Furnace, A/C Unit, Water Heater And Cooktop. MLS#7249996. Keller Williams DTC. So much for this price! Welcome HOME! MLS#2196483. COLDWELL BANKER RESIDENTIAL 18. You will also find a wet bar, wine closet (temperature controlled), movie room (built ins & speakers), another bedroom or storage room, powder room all with access to the patio area and beautiful backyard. Backs to playground MLS#9772701. Kentwood Real Estate Cherry Creek. Close to Rolling Hills Elementary School. MLS#3188575. COLDWELL BANKER RESIDENTIAL 24. This home has been well taken care of and is waiting for you to move right in! New roof just installed! MLS#3882211. Your Castle Realty LLC. Very convenient location : close to shopping center, E470 and much more! ! MLS#3071572. HomeSmart Cherry Creek Properties. Close to parks, shopping, highway, and community pool! MLS#5121411. Colorado Realty Pros. Walking Distance to Award Winning Cherry Creek Schools, Community Swimming Pool, Tennis Courts, & Hiking Trails! This Home has it All! MLS#8634457. HomeSmart Realty Group. Don'T Miss This See It Today ! MLS#2759998. Colorado Premier Properties.